So, you want to hire a freelance writer. You’ve made a wise decision, but how do you find the best freelance writers for a given job? After all, there are writers of all types out there with different levels of experience, knowledge, and interests. You won’t want to sort through dozens or even hundreds of applications from writers who don’t fit your needs, so how do you attract the right applicants from the get-go? 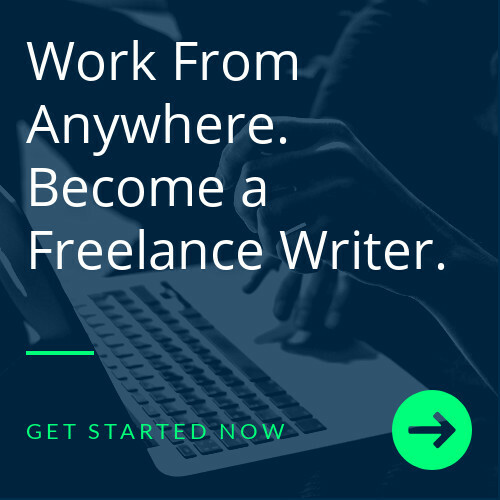 Take some tips from this article and always be sure that your job listing is posted on job-finding sites that are specifically geared toward freelance writers, such as Writers Work. To attract the right freelance writers, you need to think about who those writers are and what type of ad they might respond to. It can be helpful to create a writer persona for your ideal candidate, focusing primarily on their experience, social media savvy, and pay rate. Don’t get bogged down in demographic details for the persona, as you don’t want to create an ad that excludes applicants based on factors like age or gender, but do think about the perspective a writer of your desired experience might have. It’s not necessary to specify that you need someone proficient in Microsoft Office or someone who can type X words per minute. These factors are a given for most freelance writers. Instead, focus in on the main tasks that will be part of the job and the skills needed to get those done. For example, if you want a freelance writer to help with your social media accounts, then that writer should have experience with Facebook, Twitter, and Instagram ads. You might also specify academic experience that’s desired for the job, but do keep in mind that many freelance writers don’t have a formal education in writing but have more than enough talent and experience to make up for it. Finally, remember to actually list some of the daily tasks that will be included in the job as well as the typical number of hours needed per week—along with the job duration. The more applicants know about what they can expect from the job, the better they will recognize if it’s a good fit. If you make applicants jump through hoops to apply for your job, you won’t see a high rate of returned applications. It shouldn’t take more than 20 minutes to fill out the application and send it off, but you will want to include some detailed instructions as part of the screening process. For example, you may request that documents are uploaded in a specific order or that a specific subject line be used in an application email. If an applicant doesn’t have an eye for these details, you can rule them out more quickly and move on to more detail-oriented applicants. For many freelancers, pay rate is the bottom line. It’s also a good indicator of whether the job is intended for newbies or more seasoned writers. You don’t have to narrow it down to the dollar, but it does help to have a visible pay range for the job to attract the appropriate level of writers. By listing your job posting on Writers Work, you can be confident that your post will be seen by a large pool of qualified writers with a wide range of writing backgrounds. Writers Work is always free for employers to use, and we make it easy to post job listings. You can also skip the application process with our Writers Marketplace, which lets you find writers directly and reach out with job offers. Check it out today to find your next freelance writer!